The Grape Valley is a good place to enjoy the grapes of hundreds of varieties. 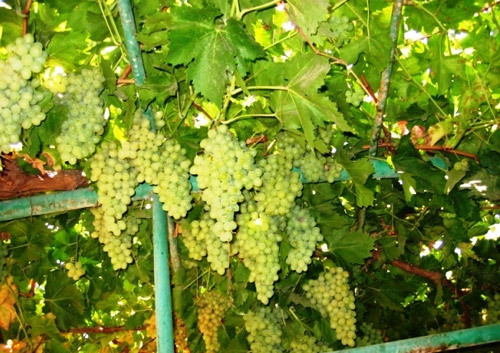 Turpan is praised as the 'Hometown of Grapes' and the Grape Valley is a good place to enjoy the grapes of hundreds of varieties. Apart from that, the locals are quite fond of sand therapy which has a history of hundreds of years in Turpan. People lie or sit under sheds, burying their bodies in hot sand about 50C (122F) to 60C (140F). It is said to be a good way to treat rheumatism and skin ailments. There is a Sand Therapy Center in the northwest of the city which is popular among visitors.